Monochromatic designs are very popular these days and they have a relaxing effect. Thus, monochromatic bedrooms have taken interior design by storm. The best thing about a monochromatic color palette is that you can play around with your ideas more. For instance, you can focus more on the furniture and decorative pieces. It could be a challenging task to make sure that every single item matches the motif, but the final outcome will surely make you proud. The interior design of this home is a good example of monochromatic design. The focus is in utilizing different shades of gray and to match the palette with the richness of custom stained wood (used for island top and flooring). Going monochromatic does not mean staying within the blacks, grays and browns. This bedroom, for instance, has a nicely planned design with purple hues splattered around (bed, duvet, pillows, and chairs), matching the natural wood flooring to perfection. This bedroom is the perfect example of monochromatic design with a focus on the beauty and functionality of the furniture pieces. 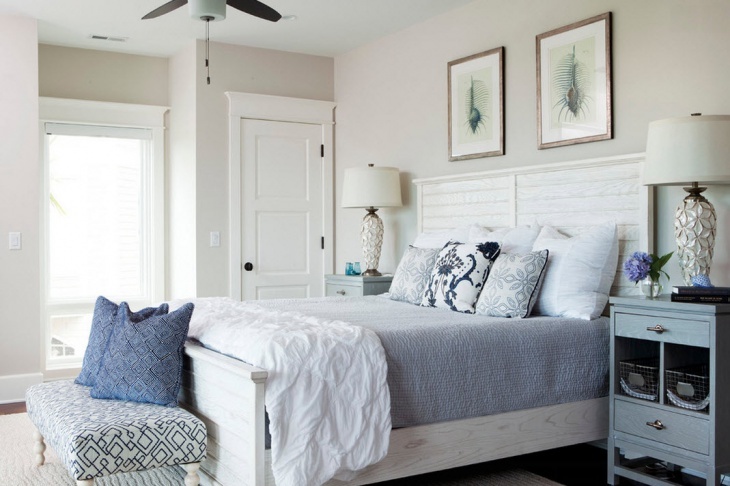 The bed is covered in gray, white and blacks – a combination that provides a nice fit with the colors and designs of the bed bench, side tables, lamps, wall, and ceiling. 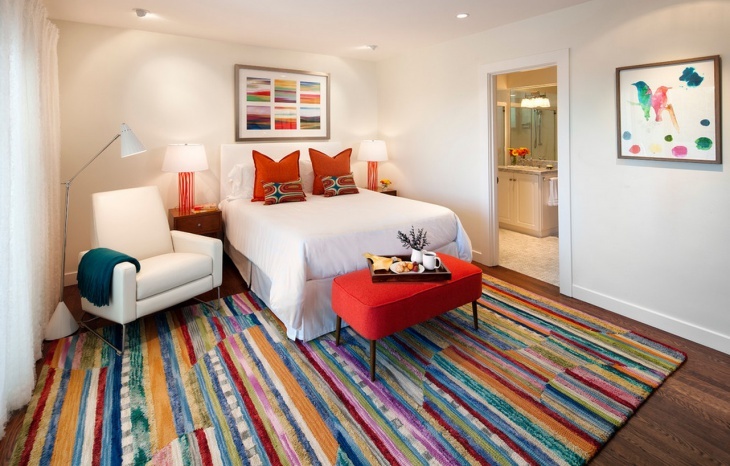 You can use splashes of color in your monochromatic bedroom, just make sure that you do not go overboard. 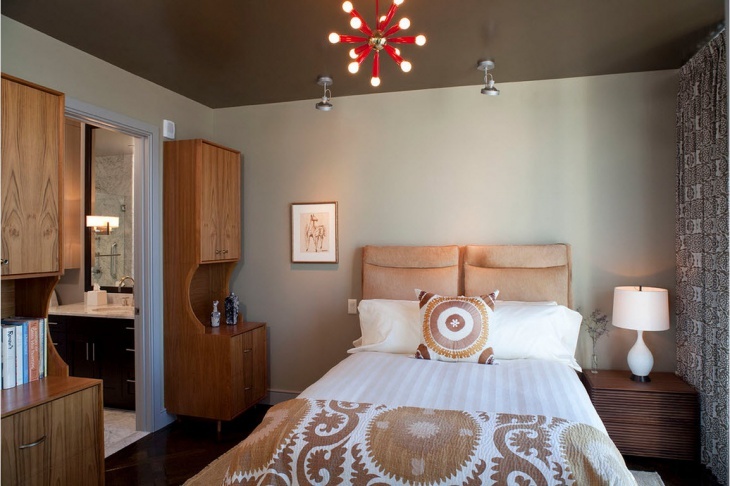 Your monochromatic wall design can be focused on colorful art decors, like the ones used for this bedroom. 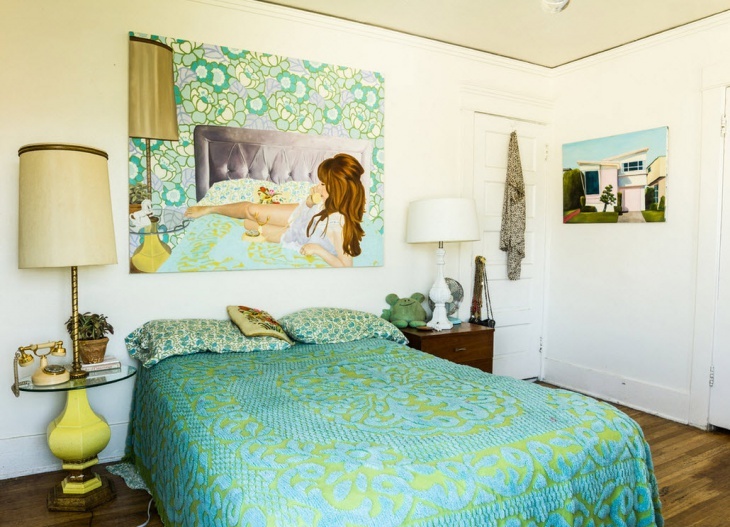 The main art decor is a representation of the bedroom itself – such a great idea. Yellow and blue with white? 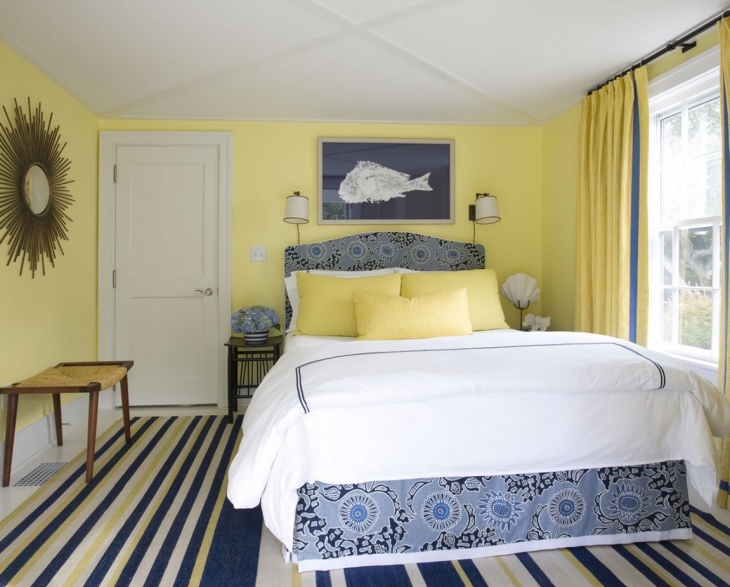 Use this colors properly and you will surely get an outcome as beautiful and enchanting as this bedroom. The rug offers the best finishing touches with the three colors represented in stripes. Your black and white interior can brighten up a bit with the use of some bright colors. 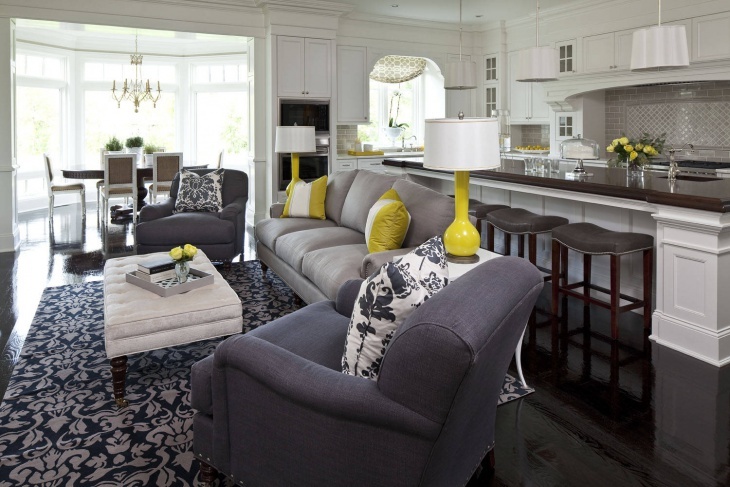 This entertainment space is made more interesting with the bright yellow and red furniture pieces. 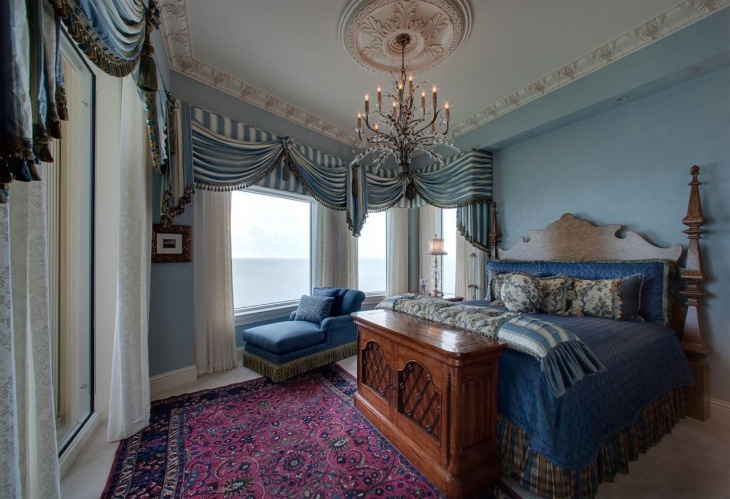 This classically designed bedroom is a perfect example of how blue can be beautifully incorporated into a monochromatic design. 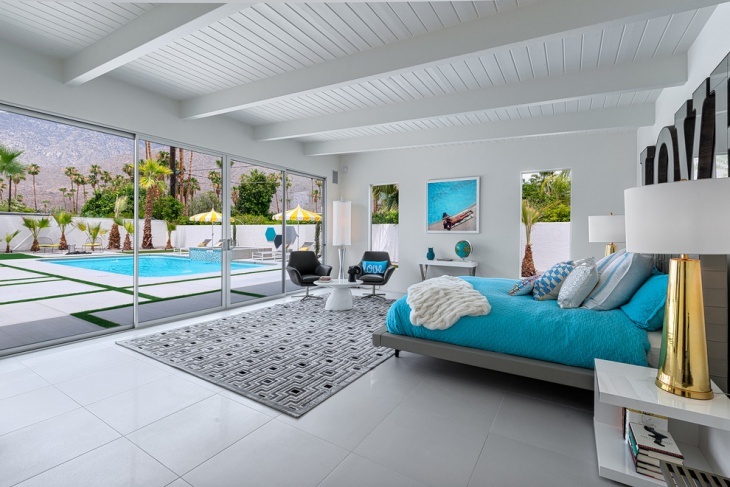 The blue bed dominates the whole set up, and splashes of blues enhanced the magnificence of the room. Purple and pink really go well together. For this cute bedroom, the light pink ceiling and cabinet side is perfectly contrasted by the purple bed, opposite wall and curtains. The outcome is a real beauty that can easily capture anyone’s attention. Always decide on your color scheme before you embark on your decorating and designing journey. If you want to stay in one color shade, stick to that. If you want some splashes of color, choose a contrasting shade that would go well with the rest of the setup.